Ahead of his upcoming Bellator debut, Austin Vanderford wanted to get one simple thing out of the way early, he’s going on without a nickname. Previously known in his fighting career as ‘AK-47’ and then also known to many as ‘Mr. VanZant’ due to his recent marriage to UFC flyweight Paige VanZant, Vanderford made it clear, there are no nicknames attached to him, he’s simply just Austin Vanderford. 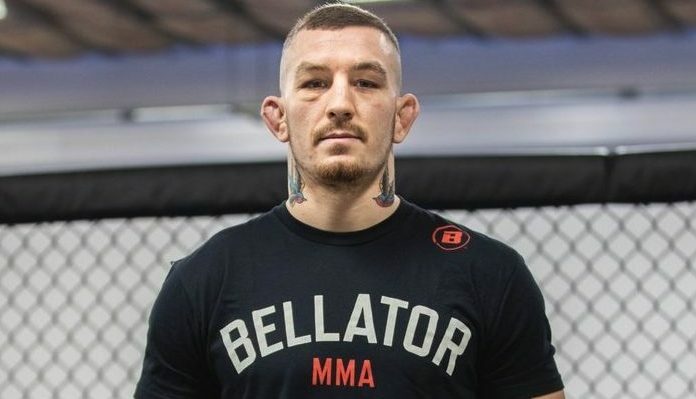 He’s the same the guy who will be making his Bellator MMA debut against Cody Jones at Bellator 215 on Friday, February 15 in a catchweight fight at 175-pounds. In an interview with BJPenn.com, Vanderford spoke about his debut, the special relationship he has with his wife, and more. 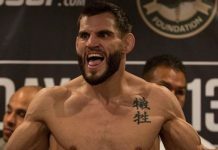 After getting an incredible comeback victory on Dana White’s Tuesday Night Contender Series last summer against Angelo Trevino, Vanderford was ultimately passed on by Dana White and the UFC and would go on to get a first-round knockout at FFC 32 improving his professional record to 6-0. 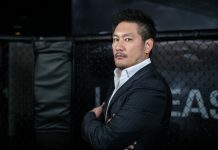 In doing so, Vanderford fully cemented himself in a position to secure a contract with some of the top organizations, and the one that he struck was with Bellator MMA. For Vanderford, getting passed up on the Contender Series was a learning lesson and he’s looking forward to making his Bellator debut. 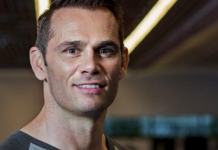 While many believe the opportunity to get on Contender Series and ultimately secure a contract if picked is the best way to reach their goal, Vanderford said he learned plenty about himself despite not being chosen. “Tuesday Night Contender Series has a ton of pressure,” Vanderford said. “You’re basically going out and fighting for your career and some guys get second chances at that, but there’s a lot of guys who go out and fight on that show and get beat and will never see the UFC or any promotion they want to be in. It’s a unique setting to fight in, it’s almost like a smoker and there’s a ton of pressure. Now that he’s at where he feels he belongs, just days away from making his Bellator debut against Cody Jones, if you’re just now hearing about Austin Vanderford, you’re already late to the party. “I truly feel like I don’t have a ton to prove,” Vanderford explained. “I feel as though if you look at my career and my accomplishments, a two-time All-American and champion in college, being undefeated as a fighter, if you’re just now questioning my place as a fighter, you’re behind the game. I’ve finished four out of six fights in my career, undefeated as a professional, undefeated as an amateur, you’re just a dumbsh*t if you think I’m here for outside reasons. As for his opponent in Jones, who is coming in on a four-fight winning streak of his own, Vanderford isn’t worried about where this fight goes, he’s confident he’ll be ready for all scenarios. While many want to give him flack and call him Mr. VanZant because of his marriage to Paige, Vanderford says there’s nothing better in the world than going through training and everyday life with VanZant, since they do it all together. “It’s amazing,” Vanderford started. “It’s hard to explain. She’s the only person, and I’m the only person vice-versa who sees the crying, going day-in-and-day-out, training three times a day and ending our nights in the sauna and seeing the hard work that goes into it. As VanZant fought her way back to get back inside the UFC Octagon after undergoing multiple surgeries, Vanderford said he was able to look at her journey for his own inspiration. By watching PVZ, Vanderford was able to bring in more motivation into his own training camp as well. “I’ve been competing my whole life, I know the ups-and-downs of injuries and if anyone was ever to question her motive for being in this sport, those questions should be thrown out the window,” Vanderford stated. “I’ve seen this girl crying because she can’t train and was just wanting this so bad. It was so special to watch her go out there, come back from injury and get the win and the finish. It’s honesty motivating and it builds my confidence. I think the timing of our two fights was perfect, I’m always ready. I love to train, I’m always training, we don’t really get to take any time off. 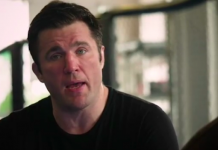 While training with his future wife is one thing, Vanderford credits his coach, Chael Sonnen for the help in locking down the relationship and help with meeting the parents of VanZant. “At the time, I was traveling five hours a day cause I lived five hours away,” Vanderford shared. “So I would leave at around 4:00 AM just so I could catch the end of her training session and see her a little bit. Later on that day, Chael knew we were going on a date and that her family was in town, and I was going to meet her dad for the first time. “So he asked me that when it comes time to pay, what was I going to do. I started thinking about it, cause I never thought about it before, and Chael said I needed to offer to pay but maybe her dad would get angry cause he feels he should pay, or whatever. 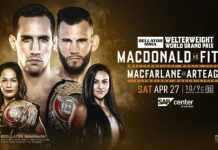 Looking to answer any questions doubters may have ahead of his debut, Austin Vanderford encourages everyone to just watch when he steps into the cage against Cody Jones at Bellator 215 to recognize that he belongs here. Driven by the love and special relationship with his wife, coached by some of the best coaches and mentors in the sport, Vanderford is not looking to show he belongs, he’s looking to prove everyone is late to the party if they’re just hearing about him now.